What could be more fall than Pumpkin bread?? 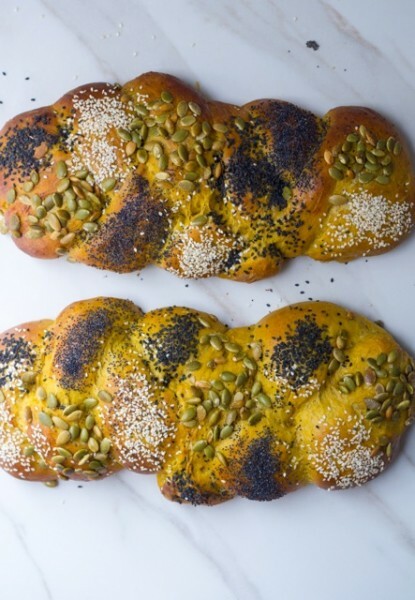 This Pumpkin Challah topped with pumpkin seeds is where it’s at! So I have been on a little challah kick lately. I mean who doesn’t want to fill your house with the sweet sweet smell of freshly baked bread on a Shabbat eve? And I’m on a bit of a pumpkin kick too. Is it sweet? Is it savory? Crazy pills! So is it any wonder I combined the two? This week I have been pretty busy attending happy hours toying with recipes for Thanksgiving (my Brussels sprouts with pecans and cranberries in a brown butter sauce is going to be out of this world if I do say so myself!) 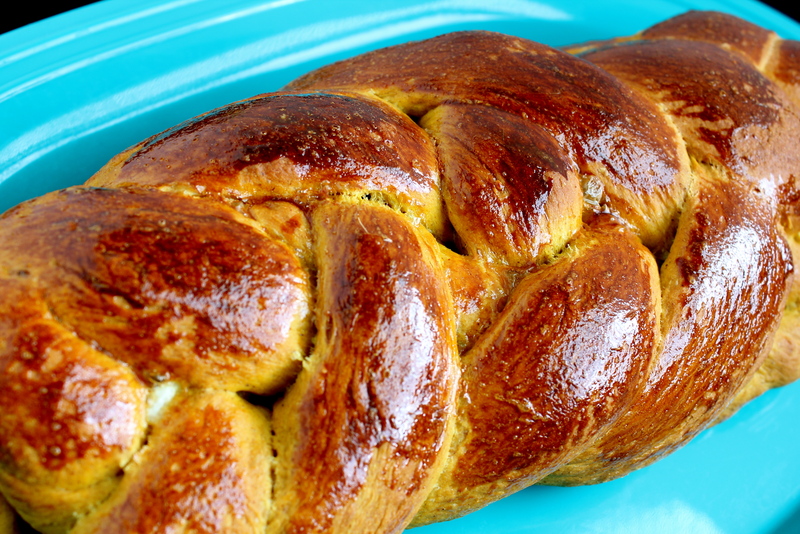 But I managed to find time to watch a House Hunters marathon bake a pumpkin challah just for Jew! This may be my best challah yet. It isn’t too sweet (you could add more sugar or honey if you like) so perfect for your day after Thanksgiving epic turkey sandwich. Or it would make one heck of a French toast. What are y’all making for Thanksgiving? Of course the star is pumpkin!! 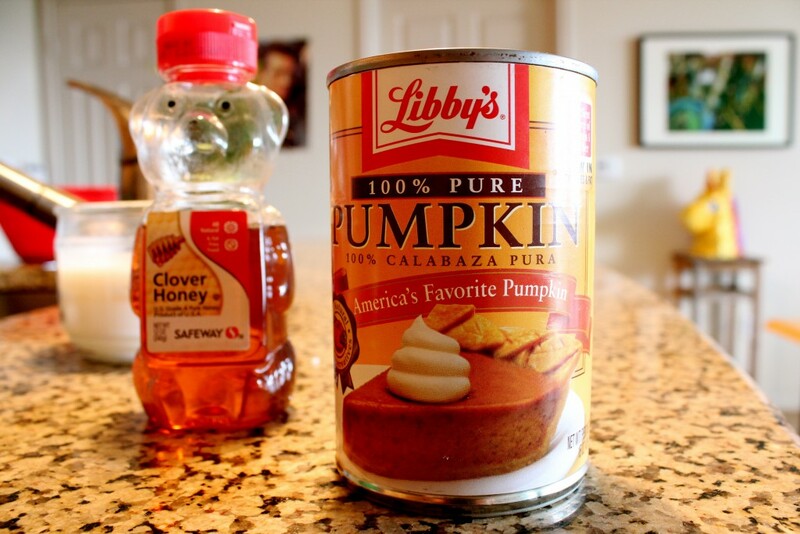 You could definitely roast a sugar pumpkin and puree your own pumpkin. One pumpkin yields about one can’s worth. But laziness triumphed and can it was. And yes that is a unicorn head pinata in the background. Thanks for asking. Challah seems intimidating, but it really isn’t heard, I swear. It just takes time! And mostly hands off time. I use that time to peruse Etsy for ugly Hanukkah decor sweaters. Anyhoo. After all your rising, it’s the fun part. The braiding! I usually go for a three strand braid but I decided to go for a six strander this time. I’m crazy like that! I used this video to learn how. 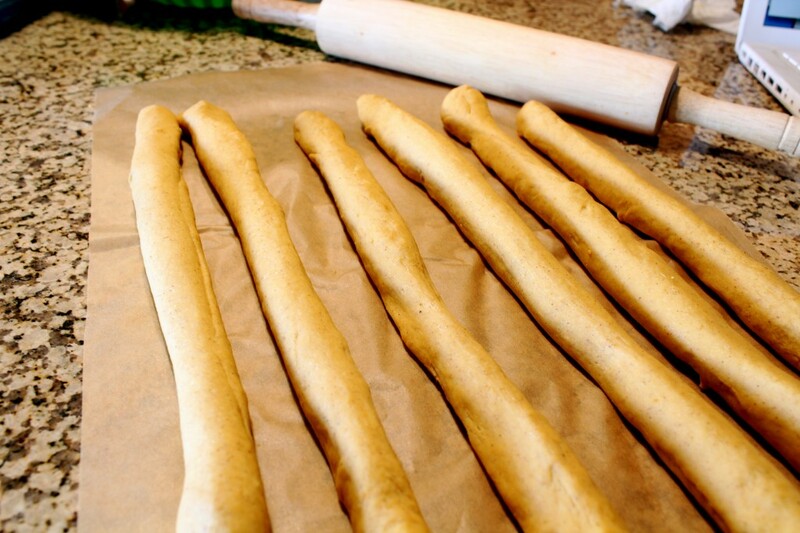 Just divide your dough into six pieces and roll each one into a strand. Time to braid! Ta da! I think I went wrong somewhere in the braiding process but let’s just go with it. Watching the video again, I totally missed one of the twists. Oops! Bake for 35 minutes or so until golden brown and your kitchen smells awesome. 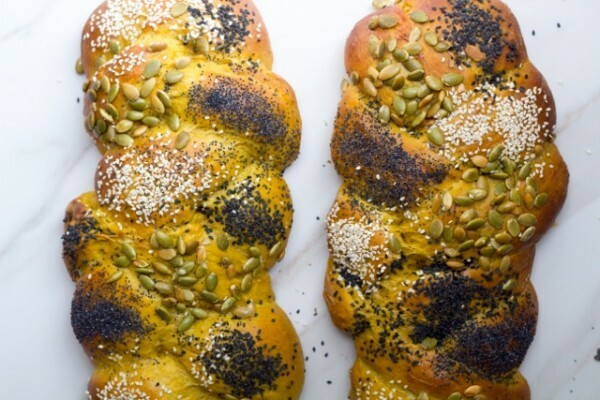 A cinnamon spicy pumpkin flavored challah for fall! You can make one bigger challah or two smaller challot. Let's start with the yeast! Place it in a large mixing bowl for a stand mixer and whisk with warm water and 1 teaspoon sugar (that helps activate the yeast). Let yeast stand until it foams and puffs up, about 10 minutes. If it doesn’t get foamy, your yeast is bad or the water wasn't the right temperature, so try again! Then, using the whisk attachment for the stand mixer, mix in the remaining sugar, pumpkin, oil, vanilla, 1 egg and 1 egg yolk into the yeast mixture. Then add spices and combine and gradually add 3 cups flour and salt and either with a hook attachment using an electric mixer on medium speed or a spoon and your hands until combined. Knead for about 5-10 minutes, adding flour as necessary. Dough should be sticky, and finish kneading by hand on a counter until dough is smooth. Dough will get less sticky as you knead. Dough should be soft, smooth and slightly tacky. Place the dough in a bowl greased with oil and cover. Let dough ferment in a warm place until it has at least doubled in size, about 2-3 hours. I put mine on top of a oven heated to the lowest temperature. Now, time to braid! Place the dough on a lightly floured surface and punch down. 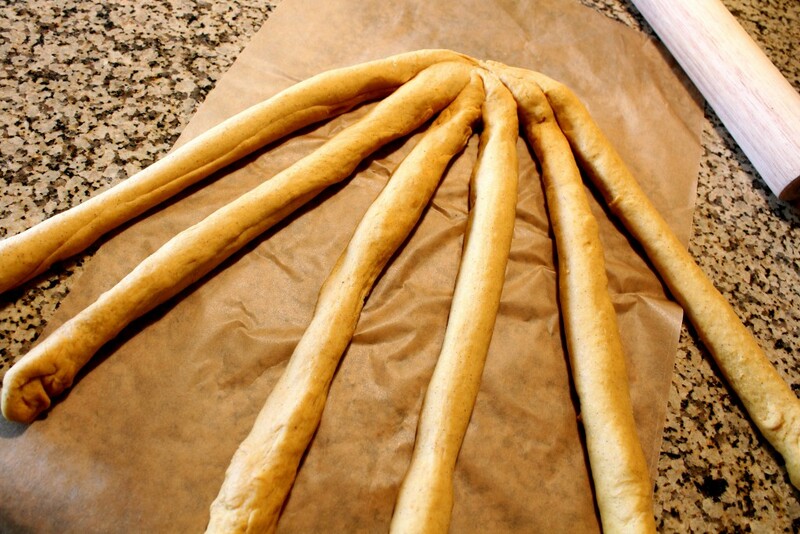 To make 2 challot, divide the dough in half, and keep one half covered. Divide each half into three equal pieces, and stretch out into three strands. Secure the three strands at one end and braid until you reach the other end, then tuck the other pieces underneath the challah to secure. Repeat with other half. Carefully place the loaves on two parchment lined baking sheets, cover lightly with plastic wrap, and let it rise again for 1 ½ hours or until more than doubled in size. Meanwhile, preheat oven to 350 degrees F. Brush last egg yolk generously over challah. Repeat to have two coats an sprinkle with seeds. Bake for 30-35 minutes, or until golden brown and with an internal temperature of 190 degrees F, rotating pans halfway through. (Flip around and switch rack position.) If the challot start to brown too fast, cover with foil until done. 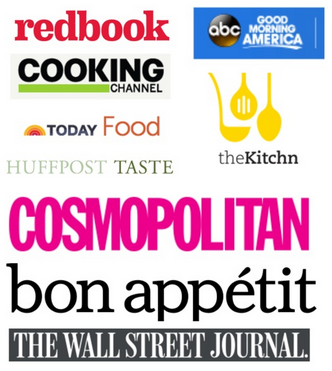 Did you hear anything from the Food Network? Thanks! I never heard back so I guess I didn’t make it. Boo! Their loss! I’ve always been way too intimidated to make my own challah, but you’re making it seem so EASY. Now I have to try it! It IS easy! You just need patience, bubbelah. That’s the hard part. 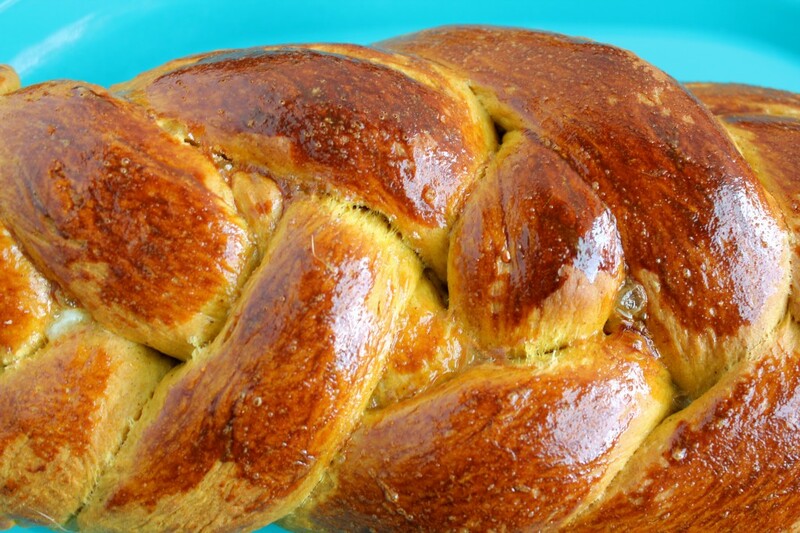 Traditional challah recipes use a large number of eggs, fine white flour, water, yeast, and sugar. But this is not traditional…..this sets a whole new standard in challahs!!!!!! Toasted with a little butter and cinnamon? YUM!!!!!!!!! Sounds yum- great idea Bubbe! Totally their loss! I am sad they did not call….I think you have an original POV and you have amazing wit….they are nuts…maybe they were intimidated by your talent! Aw! Jew are too kind Gloria- made my day! Don’t worry, I’ll try again next year! 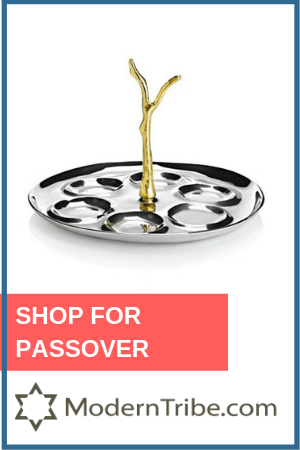 Is this cooking all Kosher? I would love to find a place that cooks baked foods like the kosher bakeries’ that I was taken to as a child in the Bronx, NY. It used to be jewish there, but now is not–mostly Mexican and hispanic. The bakery is long gone. This looks amazing! I just found your blog and completely random but I live in Austin and am Jewish too! Thanks, Kelly!! 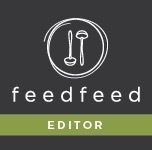 I always love to find new local bloggers. Nice to meet you! Hi Amy, This is my first time here. 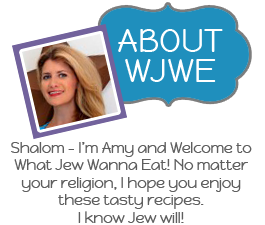 I was led by another link and was so Happy to have found your blog! I love Bread and as an old time saying said…. You don’t have to be Jewish to love it! 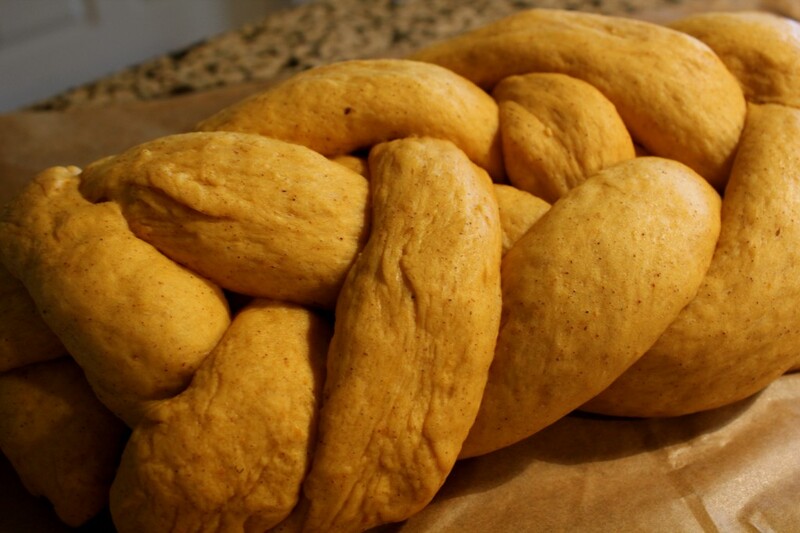 I was born in NY and was always surrounded by may cultures and traditions, so to find this blog on how to make Challah and how to Braid it is just Fantastic!!! Thanks so much hope to enjoy more of your recipes. (BTW, I am now in Oregon) Now if I could get a recipe for the good old Potato Knish I would be in Heaven! lol That with a slice of NY Pizza I can die happy! Anyway, you have given this old gal a blast from my childhood past., Thanks again! Welcome, Marta! I made a sweet potato knish once, but I definitely have more knishes on my to cook list. Let me know if you have any other ideas and hope you enjoy! Just put this challah in the oven! It’s perfect for Sukkot, but the dough is so incredibly sticky (even with the extra cup of flour). I had to give up on braiding and make it into a pull apart challah. I’m sure it will be delicious, but any advice for making the dough easier to work with? Hmm mine wasn’t that sticky and I usually don’t even use all the flour. Did you maybe use extra pumpkin or egg? I probably would have just added more flour until it was manageable. Let me know how it turns out!! Nope, I followed the directions exactly. I did use large eggs and I measured the pumpkin out in a wet measure; do you think that would make a difference? I will definitely let you know how it turned out! I used large eggs too- what do you mean a wet measure? I used a liquid measuring cup instead of a dry measuring cup. Ah that shouldn’t have made a difference. How was the challah?? The challah was delicious! Made it even better by eating with Trader Joe’s pumpkin butter! Yay glad it turned out well! I love TJ’s pumpkin butter- great idea! Rise it on the dryer! What a smart Idea! since I moved from Chicago to Florida I no longer have a radiator on which to rise my challah. (or a sweltering hot top of my fridge on a hot summer day) So I browsed around on the computer, and you had the answer! thank you. Do you think if I put the towel covered bowl out in the hot sun it would be too hot and kill the yeast? 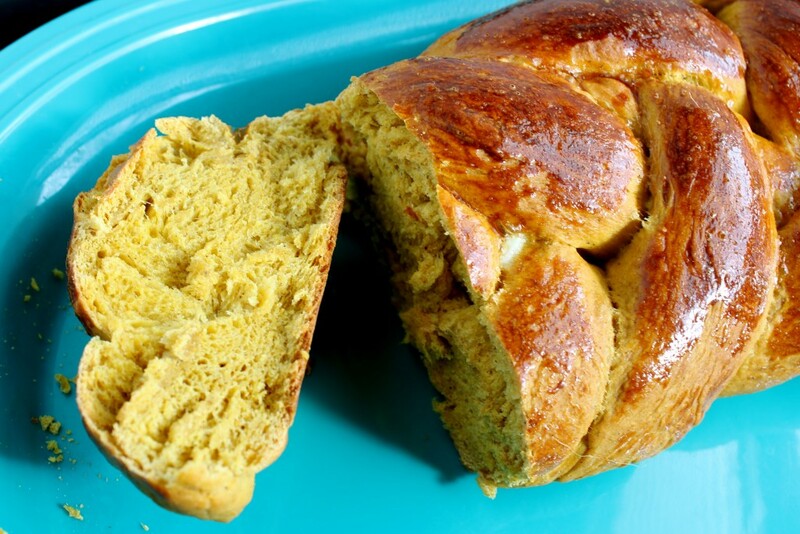 This pumpkin challah looks delish, btw. thank you! shavua tove. Thanks!Hmm how hot is it outside? That may work too! Happy to help! 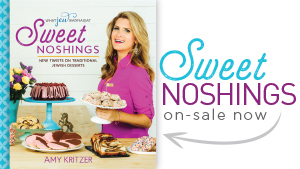 Repost this sucker for Thanksgivukkah!! It was delicious! My husband made the dough and I braided and baked it. Thanks for the video for braiding with six strands. It came out a little lopsided but I’m sure my skills will improve with practice. Thanks for a great recipe. I’m so glad!! I like my challah a little imperfect. It looks homemade!